Spring is around the corner, and it’s time to get your home in order! Spring cleaning can be fun and easy if you follow some general guidelines, which are sure to get your home ready for the nice weather and looking as beautiful as the weather is about to. Kick the winter clutter to the curb with these spring cleaning tips. Spring is here, and winter wear is no longer needed! It’s time to box up all of the winter boots, jackets, gloves, and scarfs until next season. Starting your spring clean with your closets is a good tip, and will get you prepared for the rest of the process while creating more space and organization in the bedrooms of the house. This is also the perfect opportunity to create a “give away” box full of clothes that are no longer being worn. Reorganizing is the perfect way to prepare your home for the spring and summer. Good clutter is common in many homes, like useful books that are interesting for guests to read or decorations that offer a sense of warmth and character to the home. So pick up the fallen and leaning books on the bookshelf, reorganize your kitchen countertops, and de-clutter your home office. For busy home offices, purchase organizational tools like additional shelving units, compile and file away old bills and receipts, and toss anything else that is no longer needed or of any use. Getting ready for spring means removing the stains, dirt, and odors that accumulated in your home over the colder months. First, you should start with wiping your painted walls with a wet cloth to remove scuffmarks and dust. If the water doesn’t do the trick, you can try mixing a little dishwashing soap in with the bucket of warm water. 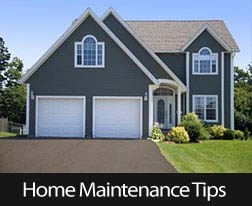 You may even want to repaint certain high-traffic areas, like entrance halls and the baseboards around the front door. Next, you can go for the floors. Having a fresh carpet cleaning is sure to kick-start your spring cleaning; this may be something that you wish to have done by a professional. To make the most out of your carpet cleaning, have it scheduled for when the kids are out of the house for a while, and wait until the worst of the weather is over. Make sure the kids take their shoes off inside, but get them to leave their socks on to avoid natural oils from getting into your freshly cleaned carpet. Vacuum area rugs in the same fashion, and mop the kitchen and bathroom floors at the same time you clean your hardwood floors. Give the showers, bathtubs, and toilets in the house a good scrub. In the kitchen, empty the fridge and freezer of their contents, and give the inside a good scrub down as well. Once the tidying, de-cluttering, and scrubbing are done, you will get to enjoy the fun part of spring cleaning: spring decorating! And while you’re at it, why not buy yourself and your home some spring flowers for a job well done. If you’re doing a big spring clean this year because you’re looking to sell your home, these tips will get your home ready for any buyer’s eyes. Contact your real estate professional today to get more tips on buying or selling a home. It can be pretty intimidating to dip your toes into the realm of home ownership, especially if you’re a first-time homebuyer. To make things worse, there are a number of myths floating around out there surrounding the home buying process. Such misconceptions have many kept many would-be homeowners from realizing the personal and financial rewards of owning a property. To clear things up, here are 4 myths about buying your first home that simply aren’t true. If you buy a property that is within your budget and your mortgage terms allow you to make comfortable monthly payments, the cost of rent can often be higher than mortgage payments. Sure, there are other expenses associated with owning a property that you wouldn’t be responsible for if you were renting, but one thing that many people forget is the fact that renting does not allow you to build equity. The ability to build equity into a property that you own is like paying into a savings account – if you buy a home for $200,000, and pay down your mortgage to $175,000 in 5 years, you’ll have $25,000 in home equity that can be tapped into later if you need a lump sum of cash to pay for other large expenses. If you sell your property down the line, any equity that the property has accumulated will provide you with more profit from the sale of the home. Most offers on a home usually come with a home inspection condition that makes the offer contingent on the acceptance of a home inspection report by the buyer. Many buyers, however, are under the impression that sellers are responsible for any issues that show up on the inspection report. Although the seller is required to make certain major repairs as stipulated by the lender, everything is still negotiable. A buyer may ask the seller to fix a minor crack in the basement wall or repair any scuff marks on the hardwood flooring, but the seller can essentially refuse, leaving the buyer with the decision of whether or not to continue with the offer anyway. Buyers have a tendency to focus too much on all the little things that may be wrong about a house rather than on the majority of the things that are right. Homes are much like people – they aren’t perfect. Even brand new homes might have a few minor flaws. The goal of a house hunt is to find the perfectly acceptable home – one that may have a couple of quirks that you can either live with or fix, but is otherwise ideal. An experienced buyer’s agent can help you identify issues that are deal-breakers, and help keep some perspective by separating irritating details from the big picture. Without the proper team behind you – especially if you’re a first-time homebuyer – you could potentially find yourself in a compromised position. Many buyers don’t take the time necessary to shop for an agent who can best represent them in their purchase. Think about it this way – would you perform surgery on yourself? Do you feel comfortable filing your own income taxes, or do you opt to use the services of an accountant? Being represented by a licensed real estate agent will give you the benefit of professional skills and knowledge, including the ability to find financing and close the deal with your best interests put first. It’s always in your best interests to have an experienced, knowledgeable agent representing you in a home purchase. With such a major investment on the line, you want to have someone who can help you complete a purchase leaving no stone unturned, and ultimately saving you money – and a lot of headaches. A professional real estate agent will be able to sort the myths from the reality and make your first home-buying experience a positive one. Contact us today for more information on how you can become the proud owner of your first home! There is a fine line between adding color to your home dÃ©cor and using too much color, so that you feel like you are living inside a rainbow. There is a fine line between adding color to your home decor and using too much color, so that you feel like you are living inside a rainbow. A little bit of color will add a lot of fun and interest to your home design, but too much color can be overwhelming. How can you achieve that perfect balance? Before choosing the colors for your decor, do a little bit of research into color schemes and how they work, so you know how to combine colors harmoniously. For example, you can choose a complementary color scheme with shades that are across each other on the color wheel – such as blue and orange or purple and yellow. Or you could try an analogous color scheme, which is a scheme where the colors are next to each other on the colour wheel – such as blue, green and purple. 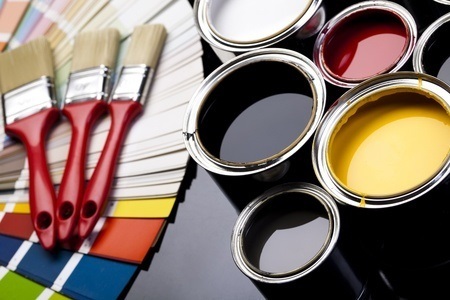 This is a rule that interior decorators use in order to use colors in a balanced way. Use the dominant color on 60% of the room, so that it will create a unifying look. Then, use the secondary color on 30% of the room in order to add visual interest. Lastly, use an accent color for 10% of the room to add that little extra. For example, you might use the dominant color for the walls and carpet, the secondary color for the upholstery and the accent color for some pillows, a wall hanging or a throw rug. Perhaps you have found a gorgeous paint color, but it’s just a little too bright and overwhelming to use for all four walls of a room. In this case, you can simply paint one wall with the color and the other walls with a neutral tone, so that you can enjoy the shade without it being overpowering. You could also simply use the color in one aspect of the room, such as the baseboards or the door jams. These are just a few of the ways that you can incorporate color into your home design, without it being overpowering. For more information, call your trusted real estate professionals at The DC Team, Keller Williams. Also check out our Pinterest boards to get more insperation. Have you been looking through home décor magazines and gazing with wonder at the gorgeous homes inside? Do you want to add a touch of elegance and luxury to your home, but you are on a tight budget? No need to worry, there are many ways that you can make your home look like a million bucks, without actually having to spend a fortune. Here are a few great ideas that don’t have to cost a lot, they just require a little bit of planning and some elbow grease and they will take your home from ordinary to luxury. Mount your curtains at ceiling level rather than the top of the windows. This draws the eye upwards and gives the illusion of high ceilings. Paint your interior doors a sleek and shiny shade of black. This looks very modern and sophisticated and is much cheaper than buying expensive doors. If your home doesn’t have crown moulding, paint a white band around the ceiling to fake the look. The little details can make a big difference when it comes to making a home look elegant and luxurious. Add in finishing touches such as a beautiful glass vase, a stack of coffee table books, fresh flowers or a piece of artwork. Remember, less is more and a cluttered house will not create the impression of luxury. 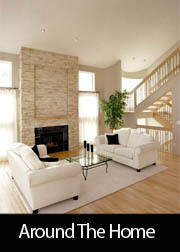 Eliminate as much clutter as possible, making your home seem more spacious and sophisticated. Lighting can also have a big impact on how luxurious your home appears. Invest in a few beautiful and stylish lamps, or a chandelier, and you will transform the entire space. When choosing fabrics for accessories and upholstery, go for fabrics that have a luxurious texture such as velvet, satin or fur. They can be faux to make them cheaper, but they will still add to the luxurious look. You can take simple and cheap accessories such as a candle holder or a vase from the dollar store and then paint them with gold paint. They will have a luxurious look, for much less than the real thing! These are just a few ideas that you can incorporate into your home décor of your home in order to make it look and feel more luxurious. For more helpful information check out my Pinterest boards and, contact your trusted real estate professionals at The DC Team, Keller Williams Fairfax Gateway. If you have started working from home, whether you are a freelancer or running a business, having a home office in your home is very important. It is a place where you can separate your home life and work, so that you can get “in the zone” and concentrate on the important work tasks that you need to complete. But where should you place your home office? If you have an attic in your home, why not use that space for a quiet and private home office? It will be separate from your home and free from any distractions. If your attic is unfinished, converting it into living space can be a good investment that will improve the value of your home. Perhaps your kitchen has a breakfast nook, but your family always ends up eating at the dining table and doesn’t really use it much? If this is the case, you could create a small and compact office space where you can work – while being close to the coffee maker in the kitchen! Perhaps there is a corner of your bedroom or living room that you aren’t really using for much? Why not turn it into a home office? All you need is a small desk and a chair to create a workspace. If you want to separate it from the rest of the room, you can use stylish room dividers. Have you ever thought of using your basement for your home office? Many homes in Northern Virginia have basements. There is probably a corner down there that you could use for office space. To combat the lack of natural light, you can use a SAD lamp that offers the same wavelengths as sunlight. 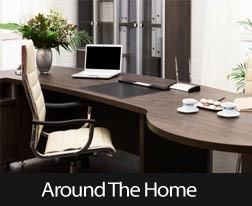 These are just a few ideas of where you could place your home office, even if all of the rooms in your home are in use. As long as you can find a quiet corner somewhere, you can create your ultimate working space. For more tips and information, contact your trusted real estate professionals at The DC Team, Keller Williams Gateway today. An entire gutter system around the home might seem expensive to many homeowners. 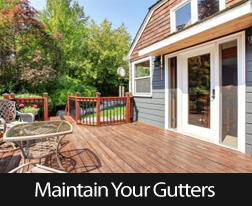 Below are tips for gutter maintenance to help keep water away from your home. Annual gutter maintenance includes cleaning them of debris, such as leaves, sticks or animal nests. Remove downspout cages and clean them. Determine if they’re still in good shape or need to be replaced. If a downspout is clogged, try to use a plumbing snake to dislodge the debris. Then use a hose to force water down the spout and hopefully remove the rest of the clog. Gutters should be set on an incline of 1/4 inch for every 10 feet. For example, if your gutter is 20 feet long, then it should have a drop of 1/2 inch. If your gutter doesn’t have enough of an incline, then you might have water overflow because it can’t drain quick enough. Most gutters also come to a point in the middle so the water runs both ways to downspouts on each end. Right after a rainstorm, inspect your gutters for leaks. Look for water-saturated areas along your home underneath the gutter. Constant leaks can cause water damage to vinyl, brick or stone siding. Use a sealant to repair small leaks or purchase a gutter maintenance patch kit for larger holes. If part of your gutter falls off or is damaged beyond repair, then you’ll need to replace it. You’ll need two ladders, a helper, new gutter cut to fit, joint connectors and sealant. Remove old joint connectors and clean the area. Fit the new joint connectors with sealant and then install the new piece of gutter. You’ll need roughly the same tools for replacing the gutter, except you’ll also require downspout sections and self-tapping gutter screws. Make sure the drop outlet at the end of the gutter fits securely into the downspout to prevent leaking. Then fasten the joint with gutter screws and add sections as needed. Finish with an elbowed section that extends five feet into the yard. For more information on how to clean your gutter check Pinterest. There I have a few pictures along with tips and tricks for cleaning out and maintaining your gutters. Out with the old, in with the new. The beginning of 2014 can have you wanting to reinvent yourself â and your home. It’s time to start fresh. Out with the old, in with the new. The beginning of 2014 can have you wanting to reinvent yourself — and your home. It’s time to start fresh. Paint the walls, change the curtains and get new furniture. It’s important to have your home be a reflection of you; however, all that remodeling can get expensive. Take a cue from Auld Lang Syne by buying a few new pieces, but keeping some of your older furniture. If they have sturdy bones, then you can update their look by reupholstering them to fit your new home vibe. 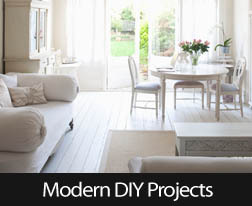 Below are DIY steps to help you modernize your furniture and save money in the process! It’s important to take photographs of your piece of furniture before and throughout the reupholstering process. You’ll want a visual reference in case you have one too many pieces or can’t seem to figure out what order the cushions were attached. Plus, you’ll have a before and after picture as proof of your handiness and to inspire more DIY projects. Carefully take apart your piece of furniture. You only need to disassemble the upholstered sections, so don’t strip down an entire dining chair when only the cushion needs to be redone. If there are a lot of pieces then you might want to do some labeling with Post-It notes or painters’ tape. Remove the old fabric and examine how it’s put together. You might have to sew corner seams for cushions. You’ll probably need to rent or borrow a sewing machine, if you don’t have one. Or, for many pieces, you’ll just need a heavy-duty staple gun to pull the fabric tautly against the back frame and staple it in place. Try to recreate the way the initial fabric was secured. Using your photographs and possibly your Post-It note organizational system, reassemble your pieces of furniture. In just a few hours, you can have updated radiant orchid chairs that match your bedspread or a sand-colored sofa for your beach-themed room. If you aren’t gifted with a needle and thread and live in Northern Virginia you could go to Ikea in Woodbridge, Virginia and buy slip covers in many different prints for a very low price compared to other stores like Calico Corner. Before throwing away that scratched leather furniture why not try buffing out the scratches. Save your money to splurge on something you can’t create! With a little time and ingenuity, you can make your old furniture feel fresh and new by reupholstering it in an updated fabric. If your monthly energy bill has started to make you cringe, then it might be time to conduct an energy audit on your home. If your monthly energy bill has started to make you cringe, then it might be time to conduct an energy audit on your home. Hiring a professional can cost you a pretty penny. So save the dough and examine your home yourself. With a few tools and the tips below, you can identify problem areas that could be costing you every month. Analyze last year’s energy bills. Each statement should itemize the energy you use each month in kilowatts. Note any spikes that could indicate problems with one of your appliances or the structure of your home. Call your energy provider and ask what the average cost is for a home of your size in your area. 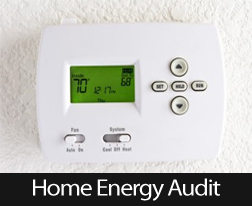 Then determine how extensively you need to conduct your energy audit. Warm or cool air escaping from your home can cost you more money and overstress your appliances. To search for cracks that air might be seeping through, light an incense stick and walk into each room of your home on a windy day. The smoke from the incense stick will highlight problem areas and you can mark them with painters’ tape. Thoroughly inspect your heating and cooling equipment. Most homeowners neglect to follow appliance manufacturers’ recommendations of doing this once a year. Make sure your system is working properly. Change filters and examine ductwork. If your appliances are older than 15 years, consider replacing it with a newer, more energy-efficient model. Go up into your attic and check for insulation. If the insulation covers the joists, then there is probably enough to protect your home. Remove light sockets and use a flashlight to see if your walls have been insulated. If not, you might want to have insulation blown in. Look for any stained or damaged insulation. This could be a sign of exterior leaks that need to be fixed. According to Energy.gov, lighting accounts for around 10% of energy usage. As part of your energy audit, reduce your use by replacing inefficient bulbs with incandescent or light-emitting diode (LED) bulbs. Consider using lower-wattage bulbs in rooms that get a lot of sunlight and only turning on table lamps instead of overhead lighting at night. Everyone wants their pipes to last as long as possible, but there are a couple of simple problems that might be sucking the life out of your plumbing. Long-term stress is the enemy, when it comes to your water system. Everyone wants their pipes to last as long as possible, but there are a couple of simple problems that might be sucking the life out of your plumbing. Long-term stress is the enemy when it comes to your water system. The three most common enemies are high water pressure, mineral-laden hard water, and grease. Avoid these three mistakes, and your water system will last years longer. You might enjoy high water pressure when you’re taking a shower, but your pipes aren’t enjoying it at all. Over time, this high pressure stresses your plumbing system and can lead to leaks. Is your high-pressure shower worth an expensive plumbing leak? To test your water pressure, you’ll have to hire a professional. Proper pressure should be somewhere between forty and eighty pounds per square inch. 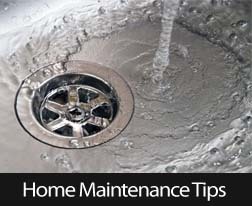 To have a plumber reduce your water pressure should cost no more than about three or four hundred dollars. That sounds expensive, but it’s a lot cheaper than a leak. Just imagine if that leak was to happen in the winter, especially one like the winter we have had this year in Fairfax County, Virginia. If your water has a lot of minerals dissolved it, then it’s known as hard water. Many homes in the Fairfax and Clifton Virginia area have well water and it has to be treated every so often with softener. If you don’t already have a water softener you should consider it, because over time, those minerals will build up in your plumbing. Eventually this will lead to a leak, so nip the problem in the bud, and look into getting a water softener. A good water softener should cost around five hundred dollars. Hard water also makes soaps and detergents less effective. Soft water will get your clothes, your dishes, and even your hair cleaner. Don’t ever pour cooking grease down the drain. It might be liquid when you pour it, but after a while, it will cool and solidify in your pipes. This won’t break the plumbing and cause a leak, but it will clog it all up. The water that goes down afterward won’t do anything to wash away the sticky grease. You don’t want your pipes backing up, trust me. That is one messy problem. Instead pour your grease into containers and throw it away in the garbage. Even better, go ahead and save it in the pantry and cook with it later. Indoor plumbing is one of the most convenient technologies we have. So don’t take it for granted. Take care of your plumbing, and get the most out of it. Avoid excessive water pressure, get a water softener, and don’t pour any grease down the drain. A little care now will go a long way. No one wants to deal with a plumbing leak. They’re expensive and a huge hassle. In most parts of the country, garages are especially appreciated at this time of year. Even if you don’t live in a colder climate, it’s important to do an annual inspection and routine maintenance to keep everything in working order. In most parts of the country, garages are especially appreciated at this time of year. I know in Northern Virginia area they are a must have come snow storms. Even if you don’t live in a colder climate, it’s important to do an annual inspection and routine maintenance to keep everything in working order. Make sure yours is doing its job well by following the care tips below. You’ll want to make sure the garage door can go up and down smoothly. Get your leaf blower and blow any cobwebs, bugs or leaves from the track. Just a few days ago my neighbor’s garage door froze shut due to winter storm Janus that has left Fairfax Station Virginia with five to seven inches of snow. So also check the rain gutters to make sure they are clear over the garage door openings to keep unwanted moisture from getting to the garage door. With older doors, you’ll also need to oil the metal rollers, hinges and tracks in order to keep everything moving easily. This time of year, pests are searching for a warm place to take shelter and find food. In Fairfax County, Virginia since we have had snow for a few days now the number of small pests that are seeking shelter in a warm dry area is very high and with the winter they are calling for this year its only going to get worse. Look along the walls where they meet the foundation and double-check any spots where you’ve had moisture problems. If you see chewed wood or trails of sawdust, call an exterminator because they could be signs of termites or carpenter ants. If you have a workshop or gym located out in the garage, then insulating this space is a must for colder climates. Not only will it make your home warmer, but also it will reduce your electricity bills. You can buy DIY kits for under $100. However, be careful if your door is over nine feet wide, because the extra weight can be too much for some opening mechanisms. Don’t actually get down on the floor, but definitely give it some care. Move everything out and hose down the entire surface. Patch any gaps to prevent tripping. Then give the foundation a good inspection. If you notice mold or major cracks, call a contractor to come take a look and see if you have settling or water drainage issues. You’ll know it’s time to replace your door when the panels are rusted and scratched or there are wooden ones that are warped. There are many decent replacement options, including wood, steel or aluminum. The prices can range from high to reasonable depending on the quality of the material. If you decide to do a replacement, talk to an expert and take your climate into account.